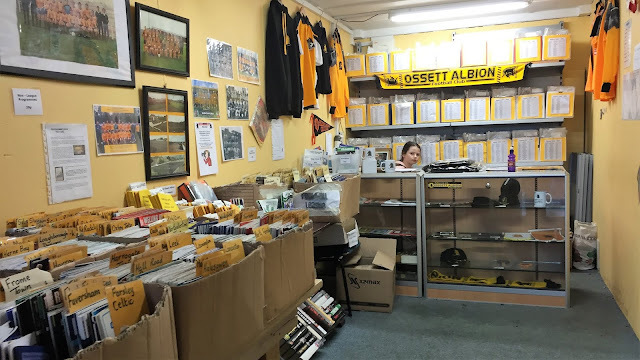 OSSETT ALBION FC was founded in After playing in the Yorkshire League for much of their early years, they became founder members of the Northern Counties East League when it was established in 1982. 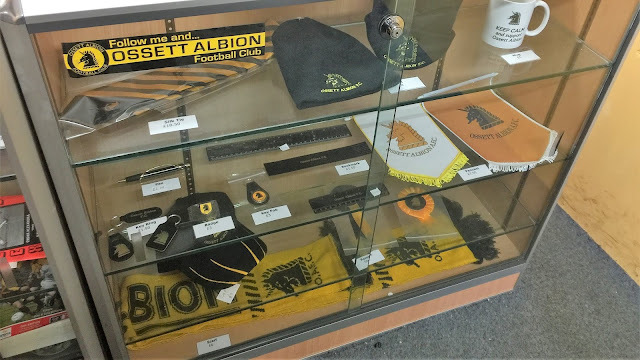 Initially plying their trade at Division One level they were champions in 1988 and therefore earned promotion to the Premier Division, Despite a rocky start, including 2 bottom placed finishes in their first 2 seasons, they were not relegated. 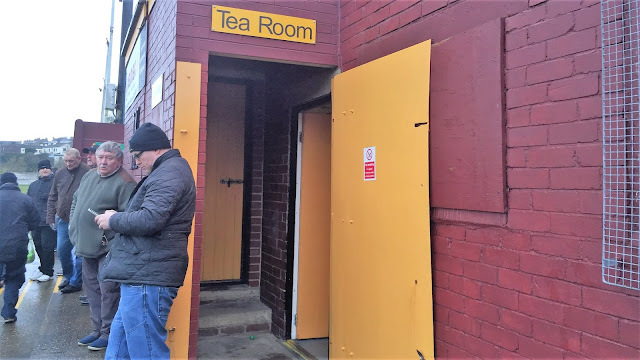 Gradually they improved and by 1999 they were winners of the league but were not promoted due to the bizarre reason of one of their dressing rooms not being big enough. 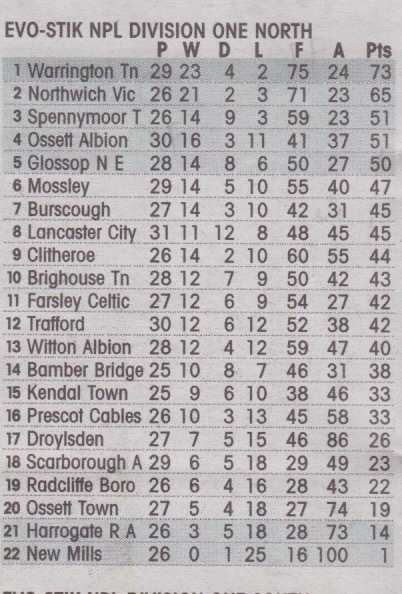 With the problem remedied, a 2nd place finish in 2001 was enough to see them promoted to the NPL D1 instead of champions Brigg Town. They were relegated after one season and found themselves back in the NCEL Premier. They were champions for the 2nd time in 2004, and this time it was enough for them to be promoted back up. They’ve been in the Northern Premier League Division 1 North since, and despite struggling most of the time, have not gone down. They did finish in 6th place in their first 2 seasons though, just missing out on the playoffs. 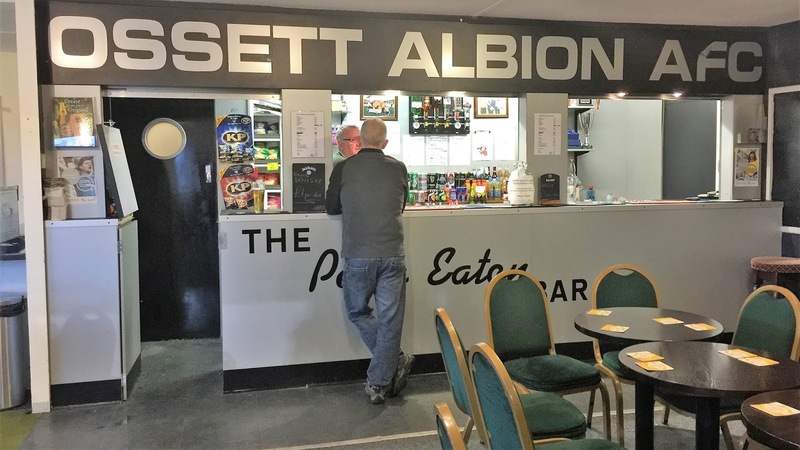 This season they are looking in fine fettle after a 17th placed finish last season, and appear well in for a chance at the end of season shake-up promotion wise, sitting in 4th place after the game. 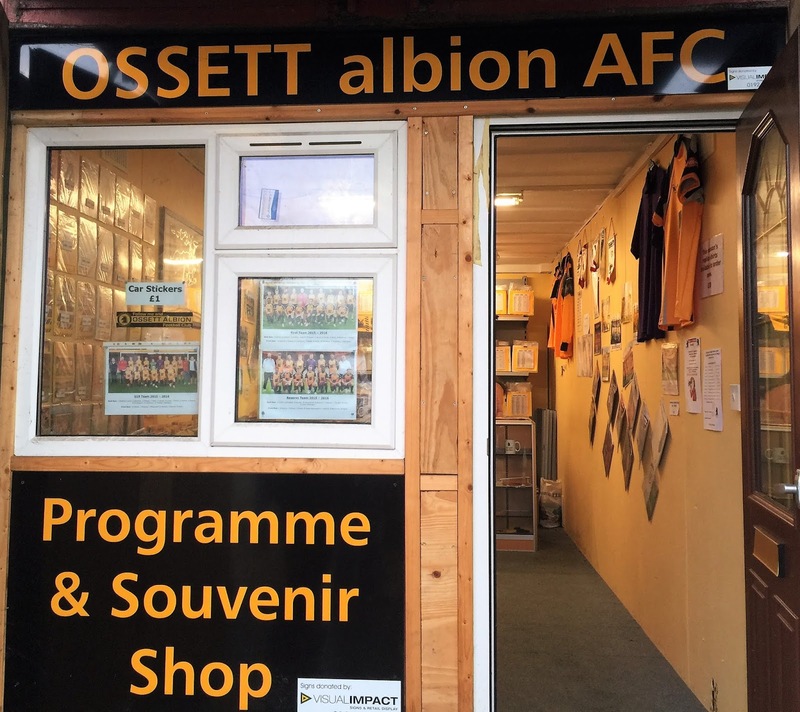 It’s been a case of always the bridesmaid but never the bride for Ossett Albion in the FA Cup. They’ve been one step away from having a shot at a league side on 3 occasions have lost in the 4th Qualifying Round. Defeats to South Liverpool, Stalybridge Celtic & Bradford Park Avenue have halted their progress. 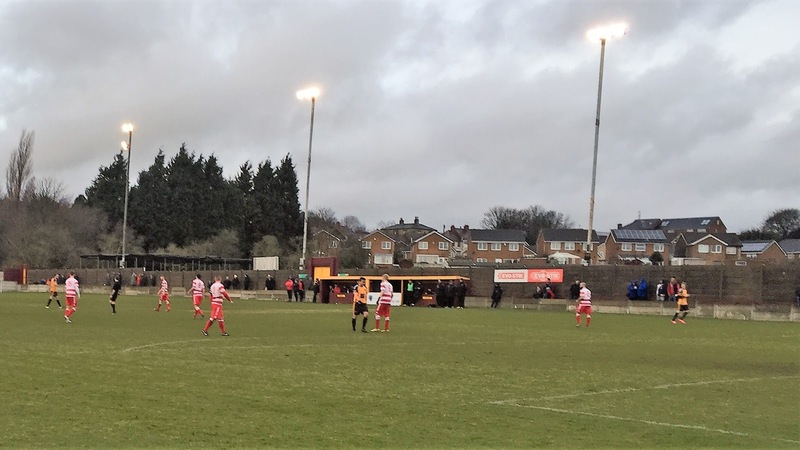 They’ve had little way in the way of progress in the FA Trophy, though they have made good progress in the FA Vase, reaching the 4th Round on 3 occasions. 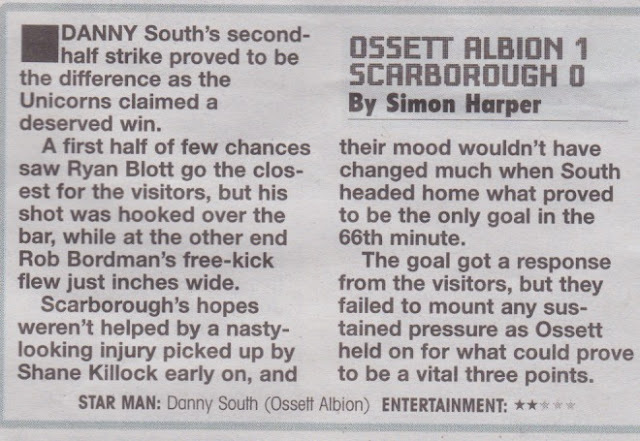 Season 1992/93 saw an extraordinary battle with Worsborough Bridge Miners Welfare in a Preliminary Round tie. Back in the day of unlimited replays it took them 4 attempts for the game to be decided, with their opponents eventually running out 3-2 winners. 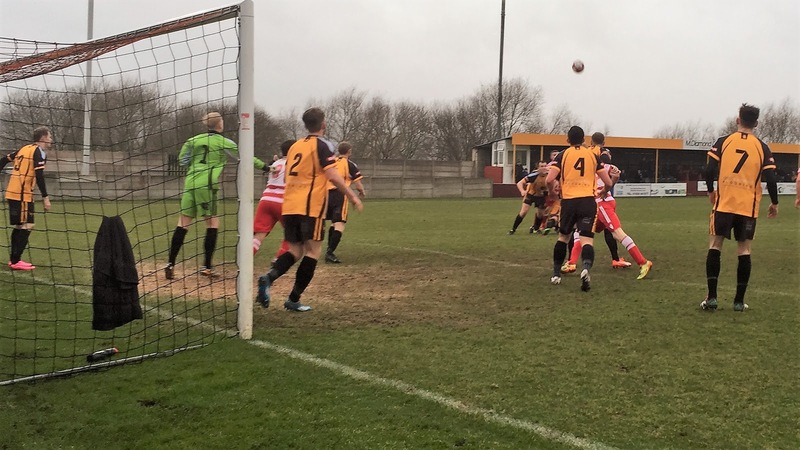 Locally they have won the West Riding County Cup on 4 occasions, the most recent coming in 1999. 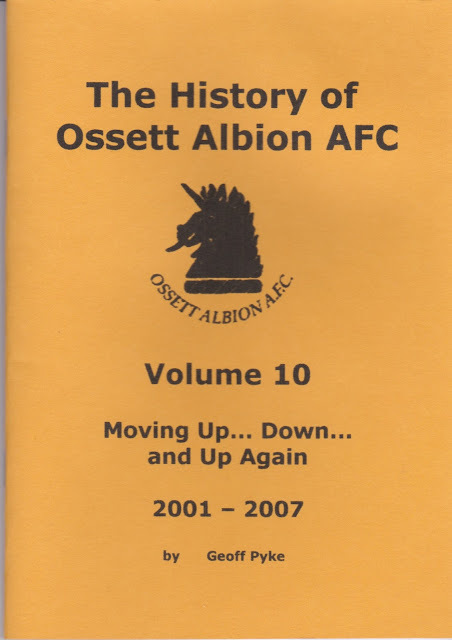 Their Wikipedia entry proudly boasts that this is twice more and 17 years more recently than crosstown rivals Ossett Town. They’ve also won the West Yorkshire League Cup twice, and the NCEL League Cup in 1984 as they defeated Ilkeston Town. Famous people from the town itself include Coronation Street’s Helen Worth, who plays Gail Platt in the Weatherfield soap. Fellow hopper Anwar was keen to tick off most of the 92 and was willing to help in a decent way with fuel costs. With that in mind, we had got in a routine of me dropping him off at a ground, and then heading off to a non-league one of my choosing. This had worked well in the past with me going off to various places but we had not yet managed to get one under our belts this season. Finally, though the opportunity came up, as we both had a free Saturday, and he wanted to go to Burnley. The first choice for me was Clitheroe, but with the inclement weather in mind I had drawn up a list of 20 possibilities, including a few step 7 and below, as well as a 3G at Widnes. The journey up went well, apart from the last part as there was a lot of traffic in Burnley Town centre. 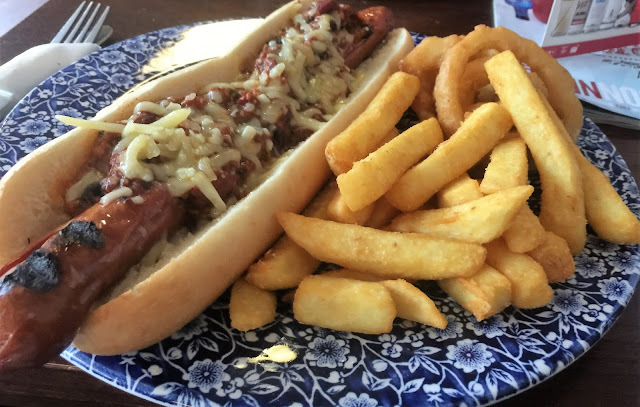 Even so we were installed in Wetherspoons at 12.15 where I had a Chilli Hot Dog with all the trimmings for £6. 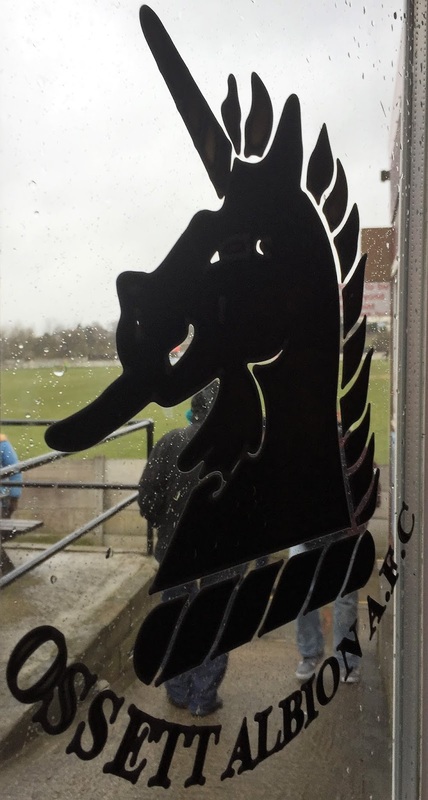 The first disappointment of the afternoon came with the news that the game at Clitheroe was off, but second choice Liversedge were confident that they would play their game. With only light rain forecast, I left town at 1.15. My third choice Lancaster City was holding a pitch inspection at that time and appeared doubtful, and so with it being isolated in terms of alternatives, that was not really considered. It was a 28-mile journey to Liversedge FC, through lovely scenic roads, which were sadly very slow. As I was 10 minutes from the ground, I got a phone call from fellow groundhopper, Andy. However, I was in a signal blackspot and was unable to answer. Figuring something was up with the game, I pulled over as soon as I could and checked Liversedge’s Twitter. 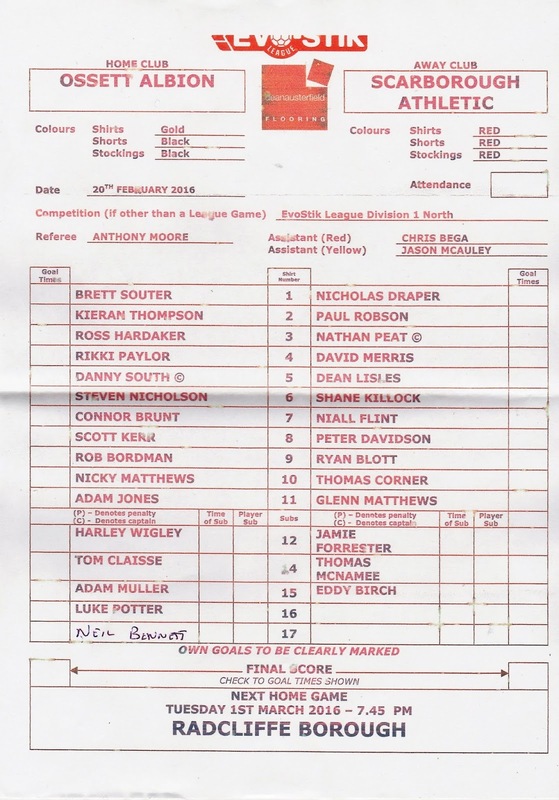 No news, but when I checked the NCEL’s official feed it had been called off 8 minutes earlier. 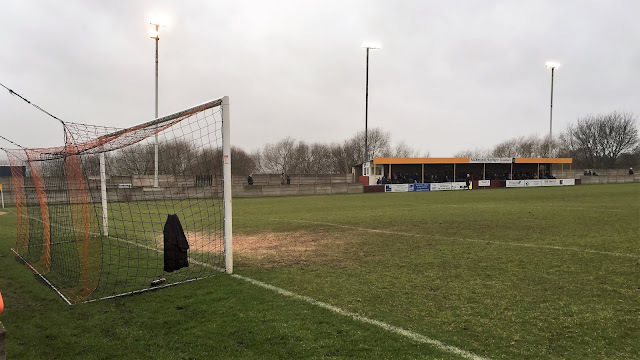 I shouldn’t be surprised, as their pitch is very dodgy, and as a consequence, they have a big backlog of games in hand, which they will need to win if they are to lift themselves off of the bottom of the NCEL Premier. 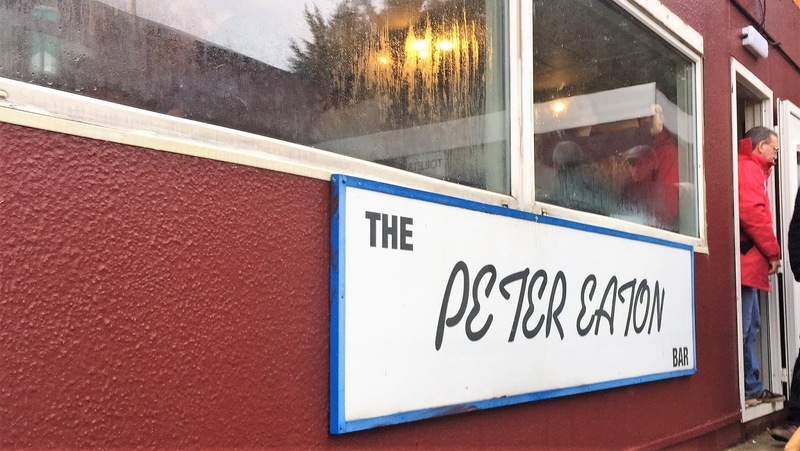 I’d really been looking forward to going there, as they were one game away from playing Wycombe back in 2004, and I knew one of their fans so it would be an interesting place to visit. I find that referees are becoming ever fussier nowadays and look for any excuse to call a game off. Most ridiculous of all was Barrow v Braintree Town, with 2 friends that I knew having gone up there. One had even done his early morning shift at work before leaving for the coach. However, that didn’t stop the referee from calling it off at 1PM with scant regard for the travelling supporters. I personally don’t see why the players cannot adapt to the conditions unless they are utterly ludicrous. Credit to Barrow, they put on a meal for the Braintree supporters before they made their way home, so there was at least a small crumb of consolation. The question was, where was I going to go. There were very few options on my list, but I had remembered seeing that Ossett Albion was at home. 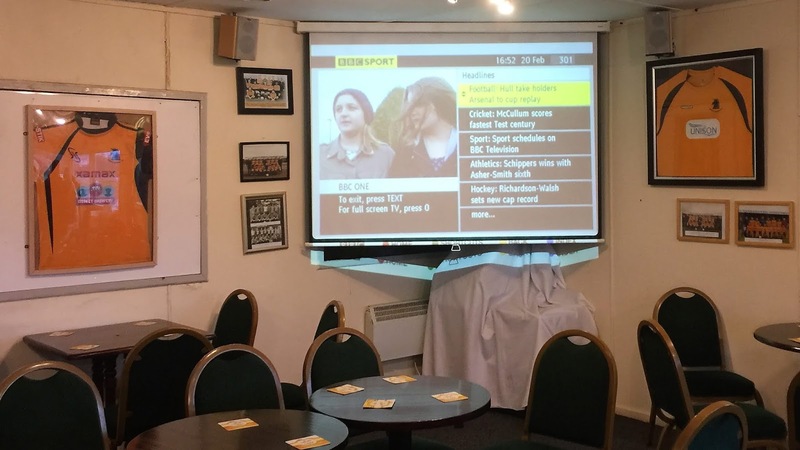 I’d fancied that for a while and so after phoning the club to make sure it was on, I put the ground into my Sat Nav. I’d expected it to be fairly local, but it turned out to be 20 miles away. I’d get there dead on kick off, but at least I would have a game. There were more dawdling drivers halting my progress, but after making the time up where the roads were clearer I managed to get to the ground dead on 3PM. Luckily there was a perfect parking space on the end of a row of cars, and so after slinging the car in there and getting my bag out the boot, I dashed to the ground. I got through the turnstile just as the whistle sounded for kick off, though perhaps not surprisingly I missed out on a programme after arriving so late. The game itself was a real blood and thunder encounter between 2 committed teams. There was a nasty looking injury to Scarborough's Shane Killock and it was not nice to see as you could hear his cries of pain from a fair way away. In the end, an ambulance was called to take him away - shockingly that has happened worth times I have watched the Seadogs. I can only hope that the player gets better soon. 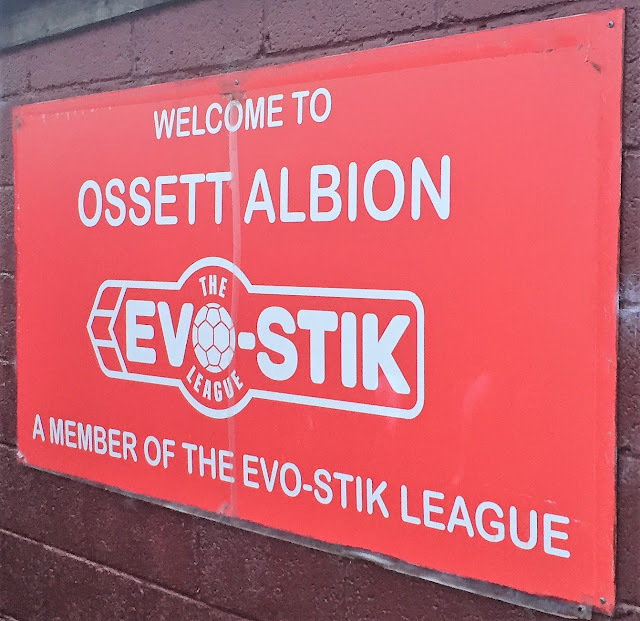 There was an unsavoury incident at halftime when one of the Ossett players was racially abused by someone from the visiting fans. 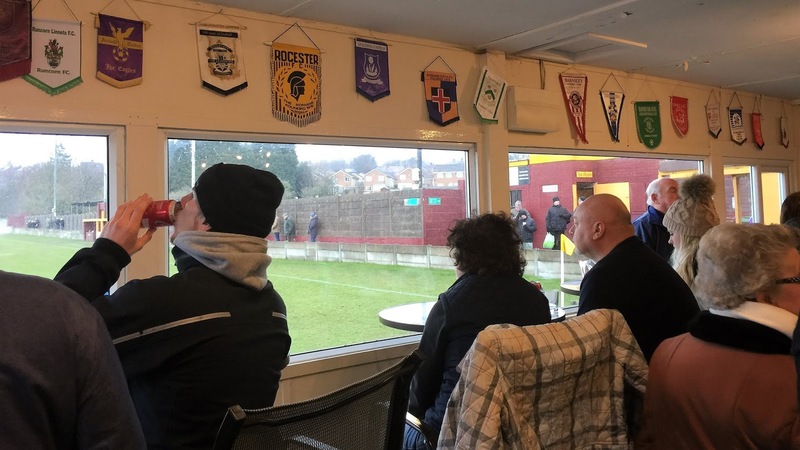 There was a tannoy announcement saying that the game would be called off if it continued, and it was a shame that a small section of their fans let down the majority of their support, who were in fine voice all afternoon. The game was won by a 66th-minute header from Osset’s central defender Danny South after a great delivery from a corner. The Scarborough keeper was harshly sent off on 79 minutes when he appeared to win the ball on the edge of the area and as they had already used up all their subs, an outfield player had to go in goal. The man reduction killed off any chance of an equaliser from them, though the score had been low, there had been plenty of entertainment on the pitch. I’d really enjoyed my day at Queens Terrace. The ground was a real cracker and the entry charge of £7 was very reasonable and in my mind spot on for this level. I was disappointed to miss out on a programme and I knew the town to be very nice from a brief visit while passing through one day. Numerous good pubs and other attractions mean I will be hoping to base myself here for an overnight stay, hopefully, while visiting their neighbours Ossett Town. 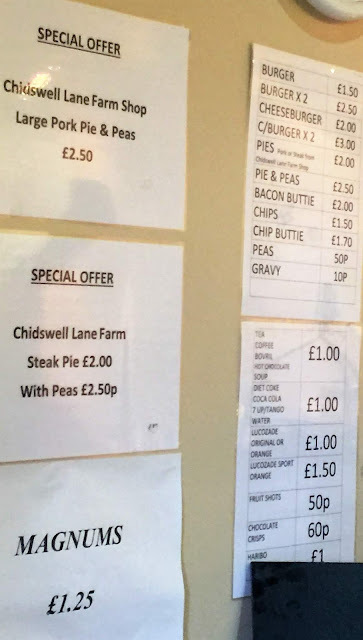 Highlights of the day included coming within 10 tickets of winning the raffle, a very nice hot pork pie and peas which came from a local farm shop, and a well-stocked club shop. Sadly I didn’t manage to get the rosette I wanted as the man who ran the shop had left his young daughter in charge while he was dealing with the ambulance for the injured player, which is totally understandable. At least I picked up one of their history books, covering the years from 2001-2007 to read. I only wished I could have had a more relaxed time at the ground, with time before the game to chill. I left the ground at around 5.20, thanks to lots of injury time in both halves. I was disappointed at Wycombe’s result, as they lost 1-0 at Northampton. Elsewhere 10 of my 20 games were off, with notable results including Cheadle Town’s 10-1 hammering of Atherton LR. I was glad not to have put on too many more miles on my fuel bill than I needed to, with my nearest surviving game being Fulwood Amateurs v Hesketh Bank in the West Lancashire League, which was a 58 mile round trip away - going to Ossett was an extra 74 miles, even with an initial wasted journey. With the same slow roads on the way back, I didn’t get back to Burnley until 6.40. At least Anwar had a good day, as Burnley beat Rotherham 2-0. We made decent time home and was thankful that we were not coming the other way on the M40. There was a huge tailback on the other side, thanks to a 3 car pile up and I can only hope that there was no one hurt due to a drivers incompetence. I dropped Anwar off at 9.55, getting home myself at 10.15. I was still wide awake after watching Match Of The Day with a very nice ‘Suzie Wong’ cider and so stayed up watching TV until 1am. With me up at 4am, it wasn’t too much of a surprise when I overslept the next morning, though in the end, I was only half an hour late. QUEENS TERRACE is a great traditional ground, with plenty of character and colour. There steps of open terracing all the way around, with cover behind both goals for around 800 in all. There is also a covered seated stand holding around 250. The bar is pretty small and from my limited view of proceedings, it appeared to be dealing mainly in cans. It did, however, have plenty of interesting stuff on the walls and big screen TV. 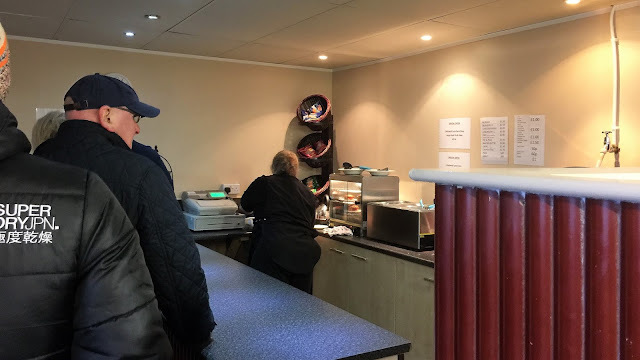 What are excellent are the tea hut, offering a range of very good food at nice prices, and the club shop which must be up there amongst the best at this level. The town is not too far away and there are a number of decent pubs and takeaways situated there.